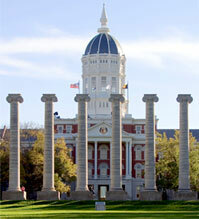 MUâ€™s state-wide program marks decrease in high-risk alcohol behaviors in college students. COLUMBIA, Mo. – Since 2002, a 33 percent reduction in binge drinking has occurred in universities and colleges in Missouri that were part of the Partners in Prevention (PIP) alcohol awareness program. Since 2007, these colleges have experienced a 10 percent drop in underage drinking and a 15 percent decrease in underage students who drank at private parties. PIP, which is headquartered at the University of Missouri, operates through MU’s Wellness Resource Center in the Department of Student Life. The organization is a coalition of 19 Missouri schools and recently added six private institutions through a grant from the U.S. Department of Education. The program provides technical assistance and guidance to Missouri colleges and universities as it works to lower risky drinking behavior among college students. Prevention education works by educating students about good decisions and the health risks of making high-risk decisions concerning alcohol use. Social norming dispels rumors about how much young people actually drink by providing an accurate view of their peers’ habits. Harm reduction programs, such as safe-ride programs and counseling, help those engaging in high-risk activities to learn how they can drink and still enjoy themselves. Environmental management involves working with outside agencies, such as law enforcement and community residential management groups, and examines programs, policies and education materials in an effort to promote good decisions. PIP was awarded the 2008 National Exemplary Award for Innovative Substance Abuse Prevention Programs from the National Prevention Network. PIP also hosts an annual conference during which national experts in prevention, law enforcement and judicial affairs speak about success in prevention. PIP also works with state-wide programs that focus on smoking cessation, safe-driving, gambling abuse prevention programs and suicide prevention. For more information on Partners in Prevention, please visit http://pip.missouri.edu/.